-- "You did an excellent job of arranging everything. I do not feel that your work or the tour could have been any better. We were pleased with the various tours, the vehicle transfers, and the hotel." -- "It was one of the best experiences I have yet to have. Our guide, Pasang, did a fantastic job educating us about the local culture." -- "I dealt everything with Katherine and do not have enough words to thank her for the wonderful job she did! Everything was great and very well organized! Can not think anything on the improvement and all your guys supplied the excellent service and very professional! We will recommend your service to anyone who would like to visit Tibet and you could use all my comments to anywhere you want, and I hope you got the photo I sent." -- We really enjoyed our 4 day tour of Tibet. You did an excellent job of arranging everything. I do not feel that your work or the tour could have been any better. We were pleased with the various tours, the vehicle transfers, and the hotel. The guide Tse Tan and driver Tashi were very good. Tse Tan spoke good English and was very knowledgeable of every place we went. I would definitely recommend your services to any family or friends who were interested in traveling to Tibet. Note: As you know Tibet is one of the most undeveloped areas in China. The facilities for tourists and the service quality level by local suppliers, as well as the natural conditions are not so good as many other places in China. Honestly we did get some bad comments and complaints ocassionally (among so many years in service), which you might read about it on some travel review websites. 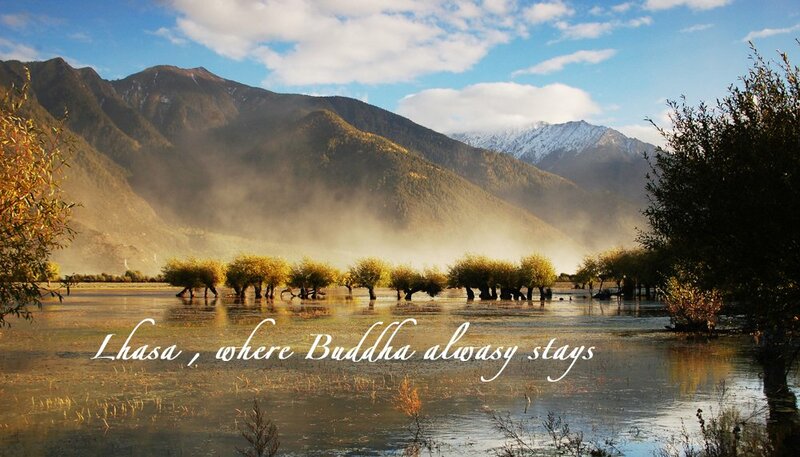 But among all these years, we have been providing the best service in Tibet travel industry - you can read about it from the comments and reviews by the happy customers in these pages. Our trip through Tibet was AMAZING! We had the delay in getting over the border but after that the trip was smooth! The folks you set us up with at Himalayan Encounters were so helpful in securing our Chinese Group Visa. Nima was an amazing guide. We had some altitude sickness issues and he was very concerned (we took medicine but it was still difficult some days to walk) and wanted to help my aunt get some additional medicine if she needed it. We are at about 3000 ft here at home and so 14,000 ft is quite a change. We did not let the altitude issues stop us from having a great time though. The hotels were great! The things we saw were amazing! The countryside was fantastic! Nima took us to great restaurants and found us the bets places to take pictures! He was very knowledgeable and was able to answer all of our questions! The services provided by you and your company were PERFECT! The trip was everything we hoped it would be an more. We could not have had more fun!! And we could not have done the trip without you and all of your help. I am attaching 3 pictures but we took thousands. If you let me know what kind of pictures you would like, I will send you any that you want. We had the trip of a lifetime thanks to you!! First of all thank you for your help organising our trip in tibet. From our side everything was OK even at the first day both of us were suffering from the high altitude so next time maybe we will take the train. The guide helped us to find proper medicine so we could continue the tour without any problem. Tibet is a beautiful place we enjoyed all the blue sky and lakes, the green and yellow fields and ofc the Himalayan range. Anyway it turned out that we were lucky to see it because of the rainy season. I am attaching 2 pictures also. First of all thanks for your Email! The organization of the tour through you was PERFECT (organizing the Permit, quick respond to any Emails - even late at night, organizing the drop off of the permit at the hotel in Chengdu…). So in terms of the planing of the trip we have been VERY happy and VERY satisfied. I would like to Thank you for making it possible with such short advance notice. And we really had a very nice time. Kindest regards and all the best to you!!! Just wanted to let you know that today I arrived back to Chengdu safely. I have to admit that it was sometimes challenging but I also had to realise that you were an angel and I was very lucky to have dealt with you, Kathrine. I was the only person who took a sleeping bag and so was nice and warm at Mt Everest base camp, and I was the only one who kept receiving lovely text messages from the travel agent. :-)) I know you must be busy and I truly appreciate your kindness to take time to ask me how things were. Thank you for this! I think I fully realized what a wonderful service you are providing me with only when some others started complaining about the UK/US representative, and when they asked me, I could only say that you were the loveliest, most caring travel agent I ever met. The staff in Tibet was also a lovely bunch. The tour guides were professional, approachable and especially the older one (I'm not sure how to spell his name, Tun Sun?) was always so energetic and had a wonderful sense of humor. The hotels were great (although the one in Lhasa was nowhere as good as the one in Shigatze and I know many people had issues), the food was delicious and we were also incredibly lucky with the weather. I have already recommended the Chengdu office to my colleagues and will continue doing so. Keep up the good work and once again thank you for being such a lovely person. Too bad for the landslide, we missed a lot and rushed through what we did see. Tenzin was great. He was so nice and he knew such details about everything. He made good suggestions and was so helpful and kind. I can't say enough good things about your service and your services! Thanks a lot for all the work that you and your agency have done to make possible our trip in Tibet. It was a great experience despite the extremly sad situation in Tibet. We have really appreciated the guide and the driver and we hope that the recent events will not damage their situation and the one of your agency. now our Tibet trip is over - unfortunately!!! It was such a great experience!! Honestly i do not really know what to say. It was exciting, amazing, incredible, beautiful - in one - it was the best trip we ever had. I write you to say thank you to you for everything! The really good assistance and support, the competent behaviour. In behalf of our whole group i say thank you for everything. I dealt everything with Katherine and do not have enough words to thank her for the wonderful job she did! Everything was great and very well organized! Can not think anything on the improvement and all your guys supplied the excellent service and very professional! We will recommend your service to anyone who would like to visit Tibet and you could use all my comments to anywhere you want, and I hope you got the photo I sent. I will be very glad to be your reference and your customer may contact to me by mail. 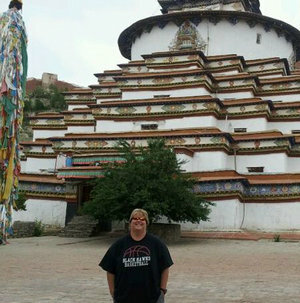 Thanks to Katherine again it was possible for us to make the trip to Tibet! I was pleased with the speed and details when my consultant Lydia representative replied to my emails. For the tour arrangement, I was generally pleased with it but I would suggest that for the collection of balance payment, it would be more convenient if it is done in the hotel instead of to the office of the local tour company. The whole tour is good, particularly Tserim, our tour guide. She is very knowledgeable, friendly and professional. Suggest include more visits to local villages, meet the Tibetan families and have better understanding of their life style and religion etc. I am very well, thank you. I enjoyed my trip to Tibet very much! Everything was perfect: organization of the trip, the team and the guide. Lobsang Tenzin is a very good tour guide, it was a pleasure to be there with such an experienced guide. Thank you and Tenzin very much for organizing everything to me and the team of people which was with me! 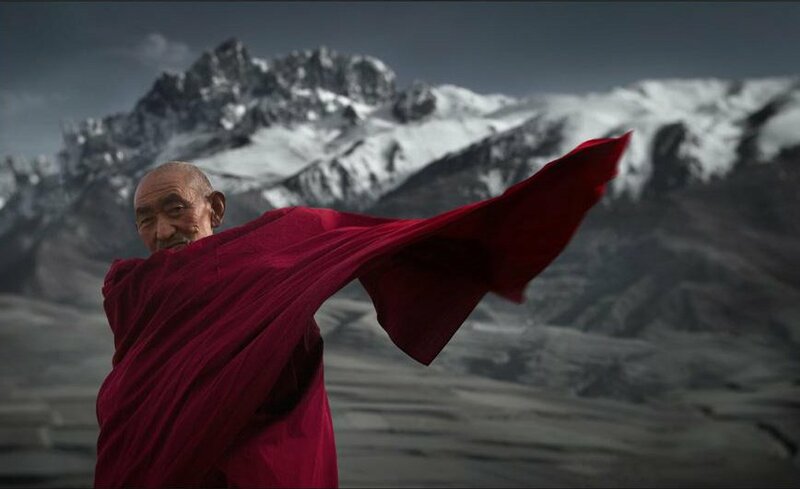 Please see attached couple of photos from me from Tibet. May be just one suggestion for Access Tibet Travel: to my opinion it is much more interesting and better on the way back from EBC to stay overnight in Gyantse (not in Shigatse). There is actually not so interesting in Shigatse as it may look at first sight. On the way to EBC there is 1 overnight in Shigatse and excursion to the big temple, I think it is quite enough for Shigatse. Gyantse looks more interesting and there are more things to see, including temple (on the photo) and other things. After overnight in Gyantse, the team can visit temple and fort in the morning and after this go to Lhasa as it is according to the program. Again thank you. Kindest regards and have a great day! 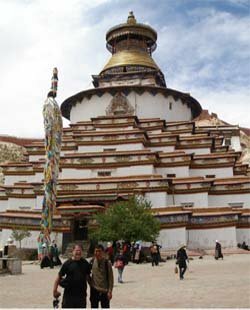 "I can recommend you to use Access Tibet Tour www.accesstibettour.com . I have been to Tibet in May this year. My tour was organized by Access Tibet company and I can say that it was perfect. My tour was Lhasa- Shigatse-Everest Base camp- Gyantse- Lhasa. Our tour guide was professional and spoke very good English. Group was not big- 9 people including me. The route was interesting, many sightseeings. I also purchased discounted airtickets via this agency which was also very convenient. The price was about 770 USD per person for the tour which is absolutely reasonable for this kind of tour. From my personal experience, I can say it was a great trip and Access Tibet Tour's contribution is very sufficient in this." we had a wonderful trip to Tibet. It was a bit strenuous but that was our fault having only one week for such a big program. The travel permit came in time. I was not really worried, because all you did was always reliable. We want to thank you very much for your excellent work! Bruce Guan was always promptly answering all our questions. Our ideas about the places we wanted to visit were completely implemented. He gave us the secure feeling, that he would look after everything and double-check all the details. We were extremely content with his work. The program contained all the sights we wanted to see, and the tour was well arranged. Our local guide Dharje was extremely reliable and knowledgeable and a very pleasant person to be with. He adapted minor items of the tour (e.g. it is not possible to go from Tsedang via Gyantse to Shigatse in one day and see the monastery Samiye, so we visited Samiye the day before) but the large layout was very satisfying. Our driver was a very safe and cautious driver without being slow. All the hotels were okay, House of Shambala in Lhasa being very special and personal, outstanding from the others. Some suggestions: we had problems adjusting to the height. Looking back, I would not change our itinerary because everything we saw was worth going to. But I would advise people to have at least three more days to adjust in Lhasa before touring around. Into the warnings and advice you should include the warning, that the tea you get is not safe, because in that height the water boils at a much lower temperature. We got bowel-problems before we started making our own tea from bottled water on the hotel room. Anyway, ATT is very reliable service, very well arranged. We are very content with everything. 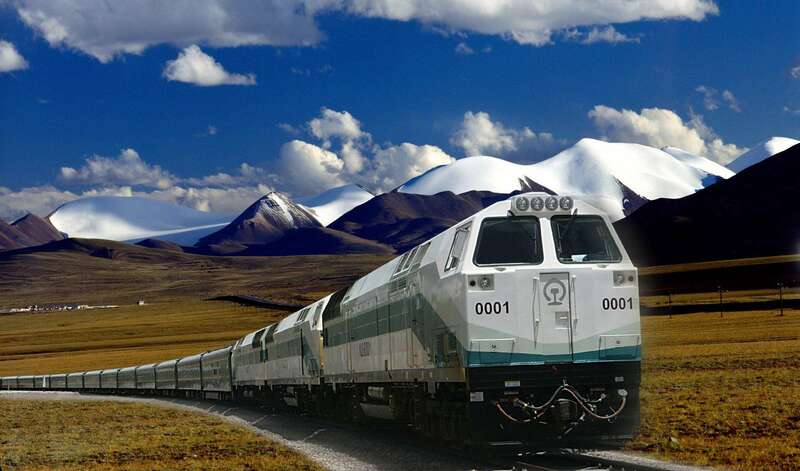 If friends should ask me I would certainly recommend ATT for a journey to Tibet. We had a great time in Tibet and we would like to thank you again for it. We appreciate the friendly, patient, efficient and professional way you organized this tour for us and the fact that everything went smooth and without surprises. Lobsang is a very good and knowledgeable guide and we enjoyed being with him and learning from him about Tibet. He took good care of us! The driver we had was also good and we felt safe with him. We抣l be happy to share this experience with future tourists to Tibet. I attach the link to the Trip Advisor Forum where I already posted a recommendation for the agency and for you two. 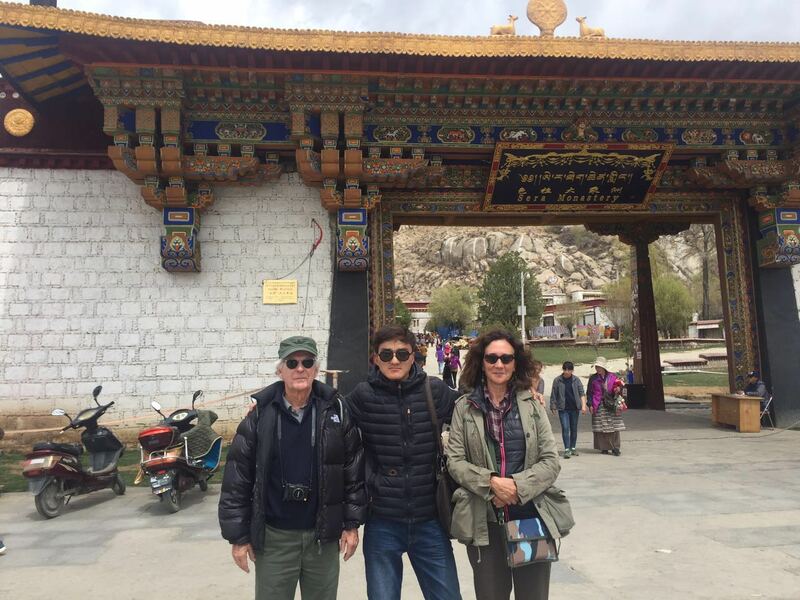 "We had a very good experience with Access Tibet Tours. As I read different opinions about them in the forum and had some doubts by myself in the past, I want to add a recommendation. We just returned from a trip to Tibet, organized through Access Tibet Tours. We planned it for a long time, cancelled it at the last moment and then planned again changing the itinerary a few times. All along, we had Katherine Liu as advisor. She was very friendly, helpful, professional and efficient. Also we had a lot of information about Tibet we appreciated her advice and felt we have a partner in planning. She checked for us different possibilities till we had the tour we wanted and no question was left unanswered (we had a lot!). Our guide was Lobsang Nyima. He is Tibetan, speaks very well English, and shared with us his knowledge about the Tibetan culture and religion. We did a 12 days trip with him and he was very pleasant companion, easy going and taking care of all our needs. We didn't have "surprises", no "similar" hotels. We choose only the hotel in Lhasa by ourselves, all the others were chosen by the agency and they were good or the best available. The same for the restaurants, we ate at the places Lobsang took us and we finished the trip without any stomach problem. After the first day we asked to change the car as it wasn't comfortable and the agency in Lhasa did it without problem. The driver was also very good and we felt safe with him even after long driving hours."